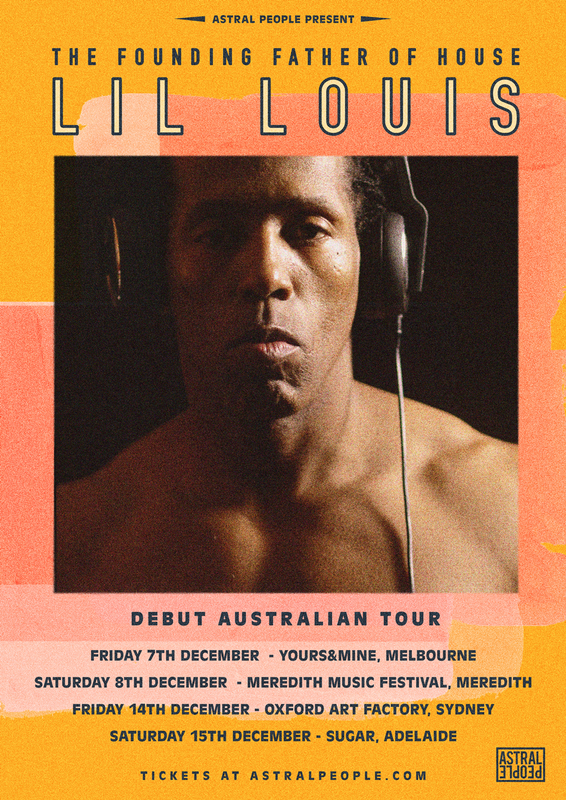 Astral People are pleased to announce Chicago-born producer, songwriter, and DJ Lil Louis' debut tour on Australian shores this December. Pioneer, icon, mogul, and renaissance man are all words that describe Louis Burns aka Lil Louis. In the world of modern dance music, you would be hard pressed to find someone more influential than the legend himself. The son of the late great blues artist Bobby Sims, Lil Louis began his DJ career at the age of 12, and is credited as being the founding father of house music. Throughout his career, Louis has an impressive list of accomplishments, producing and writing for many prominent artists including Jay-Z, Lil Kim, Babyface, Meshell N’degeocello, GrooveTheory / Amel Larieux, Donna Summers, Basement Jaxx, Louie Vega, as well as producing for soundtracks, including Jason’s Lyrics and Woo. Having performed across the world, including at festivals such as Glastonbury, Movement Torino, and Astropolis, seeing Lil Louis live in Australia will be an experience like no other. Witness the unmissable Lil Louis pack some heat in the club this summer.